Got a car that’s in such bad condition, no-one will buy it? We will. We pay up to$9,999 cash for cars Perth wide depending on their condition. We buy all cars, whether they are working or not. If you’ve had a crash recently, and have dented more than just your fender, we’d like to talk to you. Who we are? 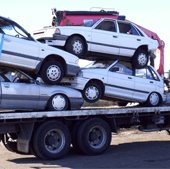 Cash for Cars Perth – Perth’s Leading Car Removal Company. Your car could be in any condition. It could be any brand, any model. It may be running, it may not be running. It may have a Green Slip, it may lack one. It doesn’t really matter. We’re interested in it as we buy old cars with little or no commercial value attached to them. We strip them for their parts, recycle the scrap metals and ensure that your old car gets a new lease of life in a different form. 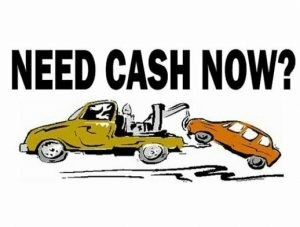 Get Cash for Scrap Car, Old Car, used Car or Damaged Car with us. Oh, did we mention that we provide free Car Removals? That’s right. So, if you have a car that doesn’t work, worry no more. Simply give us a call and we’ll buy it from you, coming to you to pick up the vehicle. The environment matters to us. We don’t want to see it destroyed any more than you do. So, we take care with the way we dismantle your car when you place it in our trust. First, we drain your car of oil and other fluids. When those fluids leak into the environment, they can create havoc in it – they destroy the natural flora and fauna whose home it is. A licensed Cash for a Car dealer in Perth, we never short change customers. Our rates are pre-defined. They are based on the age, brand, model and condition of your car. We also buy vans, trucks, utes, Jeeps and 4 wheel-drivers. In the past, we have also bought Tractors and Hummers. The condition of your vehicle doesn’t matter. We will give you ‘A Fair Price’ for it – you can be sure of that. With the glut in the car market, you could be waiting for months before you get a buyer for your car. 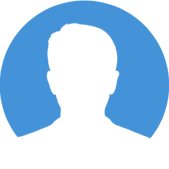 If you’re looking for a quick car sale, then call us for a quote and have your car sold today! You call us (our number is 0404 422 111) – we give you a quote for your vehicle over the phone itself. 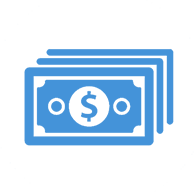 Our process is quick and takes less than 5 minutes. If you’re happy with the price we offer you, we will arrange a time to do a final inspection on your car following which we will hand over the agreed sum and tow your car away. That’s really it- we are reliable, we are punctual- our staff will turn up at the appointed time, collect the papers, hand over the cash and take your vehicle away. Got A Car You Don’t Need Any More? We’d be happy to take it off your hands. If you’d like us to do that, please call us now at 0404 422 111 and we’ll be over to your place to pick it up – in a jiffy!